German-born electronic artist Ulrich Schnauss recently released his latest video for ‘A Ritual In Time and Death’. Premiered at Fader, the grandeur of Ulrich's music is captured by the ambition of visual artist Nat Urazmetova's direction. 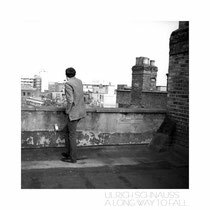 The track is drawn from Schnauss' latest record, ‘A Long Way To Fall’, out now on his own Scripted Realities imprint in Europe and on Domino Records in North America in February.